Villa Kàpari - a stunning real estate in Greece! 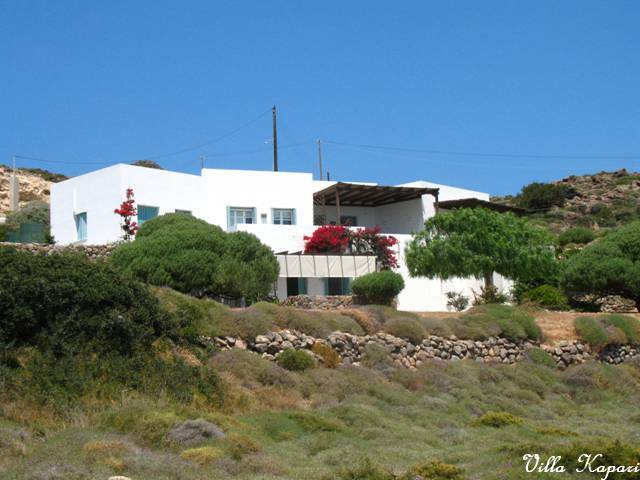 Built in 2002, this Cycladic style villa is placed in a natural amphitheatre of millenary brown rocks, with a stunning and romantic view of the Aegean Sea. 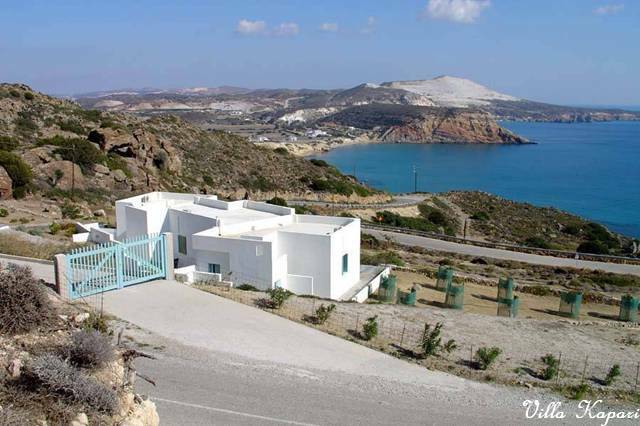 The area is one of the best in Milos, where a few villas are scattered in this rocky southern part of the Island , where sheep and goats graze in scented fields of thyme, and where Northern winds are gentle. A real estate in Greece! 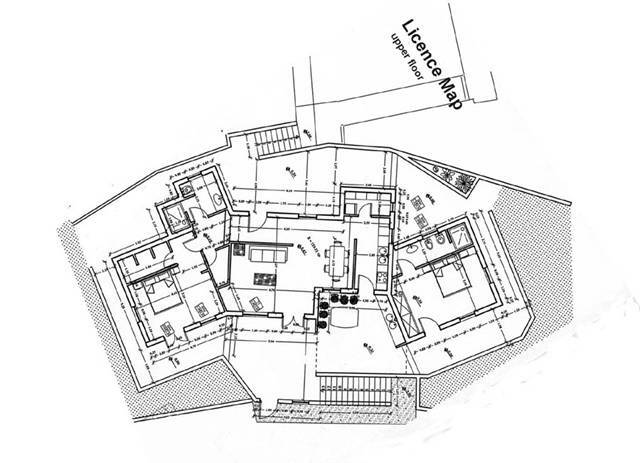 The house is made up of a living-room, kitchen, one sleeping room and two studios with own bath, for a total of 141 m². 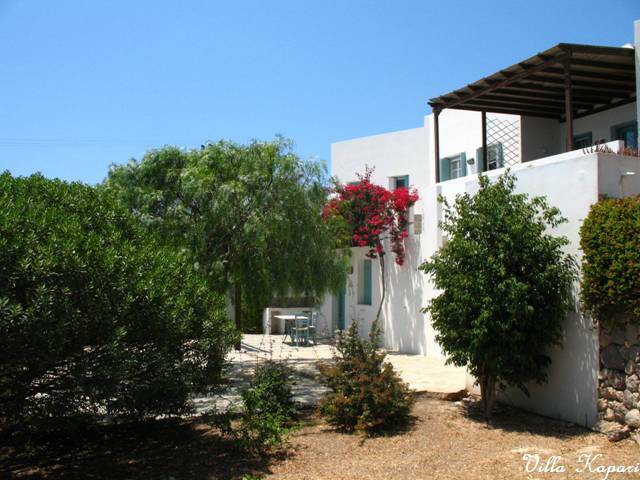 Three outside storerooms for a total of 20 m².The Villa lies in the area of Provatas/ Kipo, along the Southern coast of the Island, 10 km. from the port of Adamas. The property land of 6000 m² is all fenced. A 4 m. wide road leads to garage. 400m² of passages and terraces surround the villa. More than 150 plants and trees! 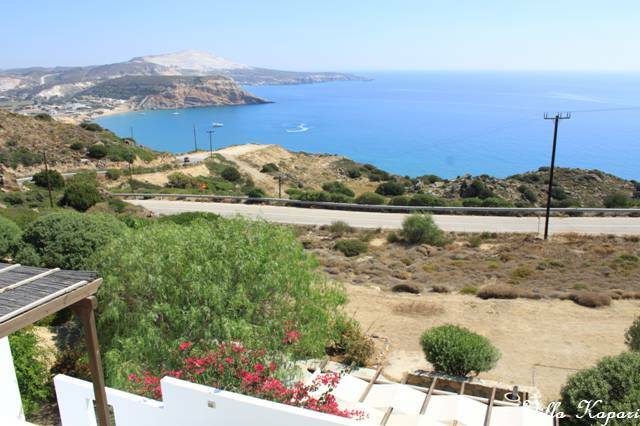 A real estate property in Greece is at the moment tax-free. 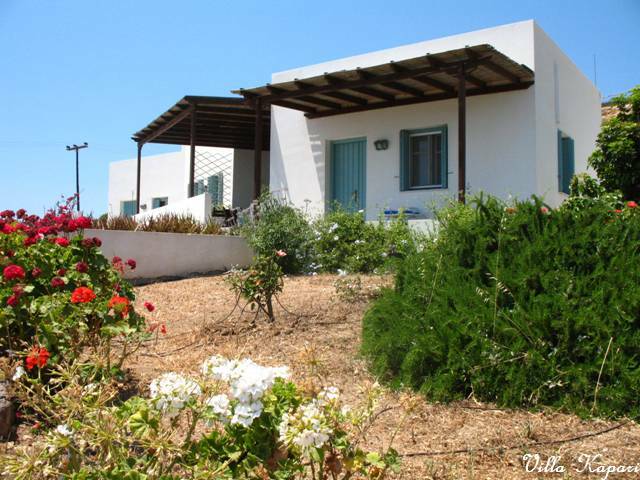 Owning a house in Milos in an investment as tourism is at its beginnings, however it is not easy to find lots with sea view and well serviced.